Our burgers are hand-formed in our restaurant from meat that arrives fresh every day. Plates are served with french fries and slaw. Cheese is American cheese unless stated otherwise. Substitutions extra. Our hamburger with mayo, lettuce, tomato, and onion. Two hamburger patties with mayo, lettuce, tomato, and onion. Two hamburger patties, bacon, mayo, lettuce, tomato, and onion. Burgers are better with bacon. Our original hamburger with bacon, mayo, lettuce, tomato, and onion. Cheese, mayo, lettuce, tomato, and onion. 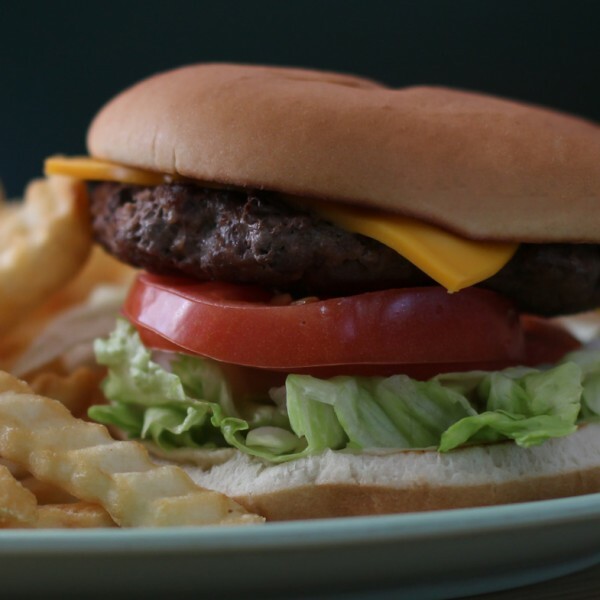 Our famous cheeseburger with jalapeno, mayo, lettuce, tomato, and onion. 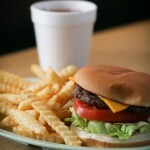 Our famous burger with sauteed mushrooms, Swiss cheese, mayo, lettuce, tomato, and onion. Two hamburger patties, cheese, mayo, lettuce, tomato, and onion. Our famous cheeseburger multiplied by three. Three hamburger patties, cheese, mayo, lettuce, tomato, and onion. Two hamburger patties, bacon, cheese, mayo, lettuce, tomato, and onion. Bring on the bacon with our original cheeseburger with bacon, mayo, lettuce, tomato, and onion.